We are experienced experts in container transportation. Our satisfied customers confirm this. Our young, reliable vehicles guarantee accurate, safe targeting. There is no risk if we deliver to ...anywhere, anytime. 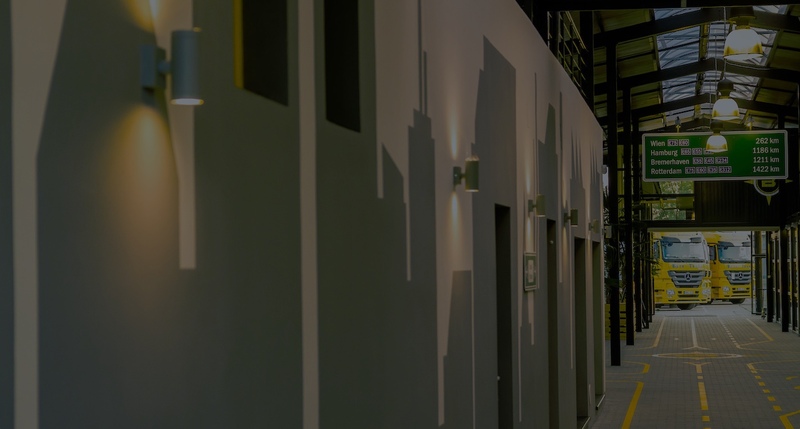 to operate a freight forwarding company in the long term and fairly, by maintaining quality and offering responsible solutions to our Partners. We provide accurate and timely information on transport related issues. The situation is constantly changing, but this is just another task to be solved, which does not hinder proper performance. A decade-long transport experience and more than 21.000 executed orders every year guarantee that we have learned everything from the profession. We are only working with new, clean, perfect condition vehicles from the market leader manufacturers. 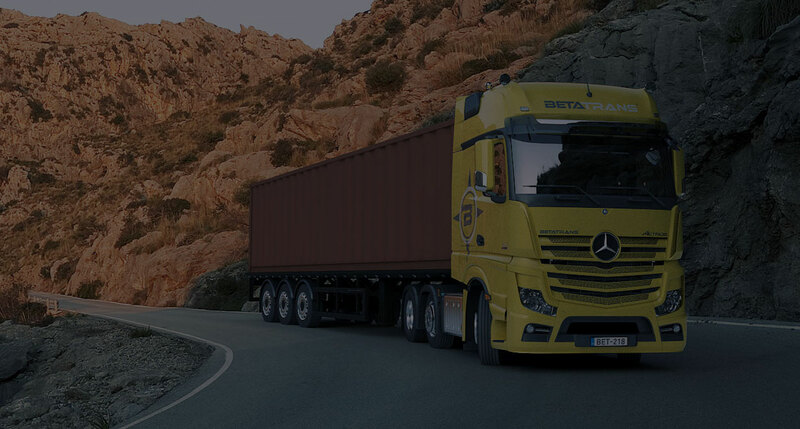 We deliver your container anywhere, anytime in the European Union! 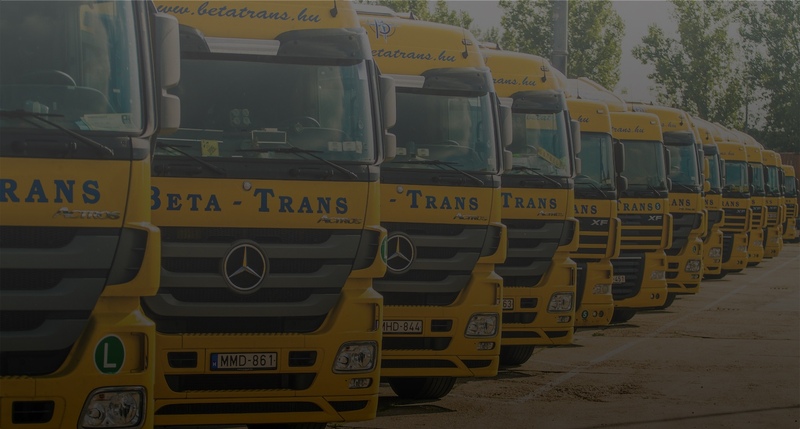 We can be there anywhere, anytimeBeta-Trans Plusz Ltd. has become one of the 100 most dynamic Hungarian small and medium enterprises and Top 100 Logistics companies in Hungary. We have won the Business Superbrands award times..
Transport with us anywhere, anytime. We have several orders each year, which in 2018 exceeded 21,000. We can only deliver good quality if we are working with well-prepared colleagues who are aligned with this. We are constantly striving to make any mistakes that can be made immediately and efficiently based on feedback. We are also working on the ISO quality assurance system for the sake of its professionalism. We plan to introduce it in 2019. We are also responsible for our environment! We are constantly watching to reduce carbon dioxide load as much as possible. Our reliability is also proven in finances, not just in shipping. In our logistic services, we strive for the highest quality and the maximum satisfaction of our customers' needs. László Berszán CEO Multicont International Forwarding Logistics Co. Ltd.
Zoltán Rakita executive, owner Quality service in a homely atmosphere. With Clients there is a constant relationship, as they know everything, they need to know what is going on on the way. We will also take the burden of customs clearance from the shoulders!